For high-quality solutions to complex or simple legal matters, look to Barry M. Rosenbloom, Ltd. In every case, we put our experience, knowledge of the law, and dedication to work for our clients and focus on their needs. We never forget that it is the client we are serving. The close professional relationships we maintain with clients means that we stay very attuned to their aims. 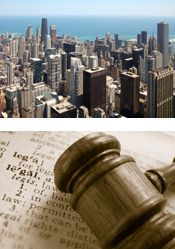 For corporate clients, we understand both their legal objectives and their commercial ones, and work to achieve both. For individual clients, we work hard to solve their legal problems so that they and their families can reach their personal goals. To arrange for a consultation, call 847-383-6126 or email. Lake County, Mc Henry County, Will County, Kane County, Winnebago County and Du Page County.